Keep your performances at sea !! Engine is THE major element of your motoryacht, without careful maintenance you will be assured of not being able to fully enjoy your boat... To fight against this, our team ensures a large number of feasible works : installation, maintenance, adjustment... From carburator to helixes, we spare no detail to maintain the quality of your engine ! 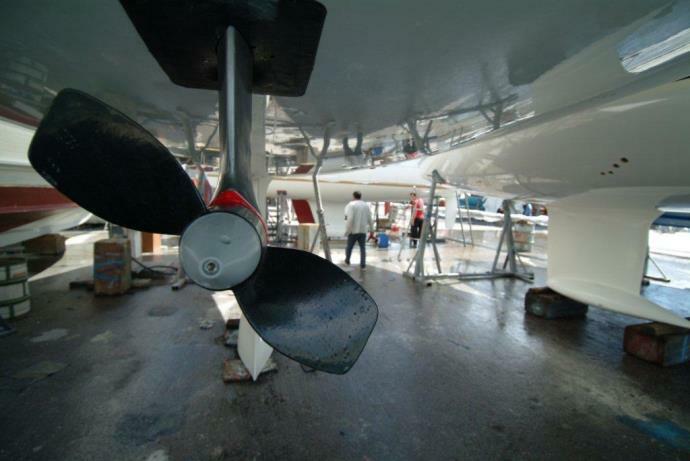 Our specialized mechanical team operates continuously on site to restore all your engines reliability and thus guaranteeing optimum performance whatever the conditions you will encounter at sea ! In guarantee of quality, we will warn you in advance if any parts must be changed on your engine : the transparency of our services and rates is a principle we do not derogate !